No tools needed! This unique finger-looping yarn by Loops & Threads is soft and designed for you to be able to quickly and easily work up elegant projects like a fringe scarf with your fingers. Machine wash normal. Tumble dry low heat. Do not iron. Do not bleach. Dry clean with any solvent except Trichloroethylene. Loops™ Yarn By Loops & Threads® is rated 4.1 out of 5 by 65. Rated 5 out of 5 by emtppierce from GREAT YARN I made a finger loop afghan with this yarn and It turned out beautiful!! Rated 4 out of 5 by mlj800 from Easy to work with but has flaws As with others that have used this yarn, I found inconsistencies in the loops and coloring with the hopi corn and some sections without loops. I still enjoyed making a twin size blanket without much difficulty and have not noticed pilling. The material is on the fuzzy side so it is not the most refined look but the blanket is very warm and heavy so I am more than happy. Rated 3 out of 5 by Jen Shirley from Great Price, Crazy Fun, HORRIBLE Pilling As soon as I stumbled onto loop yarn, I had to try it. Due to the price of this particular brand, I bought some and got started. A throw, queen blanket, baby blanket, and several gloves, scarves and hats later, I can tell you, I was right! It's great fun to play with. But buyer beware! Each skein varies in color and thickness. Some skeins have malformed pearls that require you to remove them from your project. The worst is the pilling, which starts almost immediately and makes anything you create fairly unsightly in an astounding short time. Sadly, after buying and working with over 30 skeins, I'm no longer buying this brand for no other reason than the pilling. Rated 4 out of 5 by lana75 from Easy to work with Received my yarn in a timely manner. It was easy to work with. I have made a scarf and a blanket. The only downfall is that each skein varies in color. Rated 5 out of 5 by duchess74 from Love this yarn! 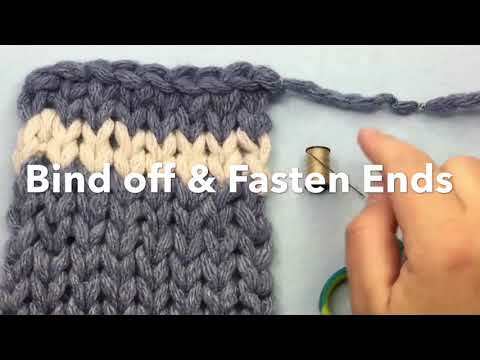 I've wanted to learn how to knit for a while, but discovered this through a how-to video. It's so easy to work with, very relaxing because you don't have to worry about every loop being perfect and has made such a soft, warm blanket! I hope to make many more. Rated 3 out of 5 by Lolli88 from Fun and easy I really enjoyed learning how to use this yarn. The tutorials are easy to understand and my scarf was quick to make. I needed about 2 skeins to make an infinity scarf. My only issue is with the consistency. I had one skein that had about a 2 yd section that was noticeably thinner and I ended up cutting it out. The third skein that I had bought just in case had big globs of glue stuck on it and I had to return it. So 2 of the 3 skeins had problems. Rated 4 out of 5 by jess06 from Maybe a bad batch? I’ve purchased this same yarn in store before and did great so I ordered again to make a blanket and on my 2nd skein, there have been multiple loops with crusty white stuff on them and it’s extremely hard to pick off. I don’t know if this is the brand or michaels. I’m going to keep using it.